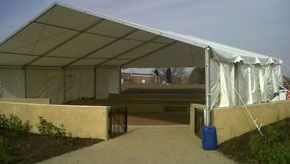 Docklands Marquees and Events ARE YOU A SUPPLIER? 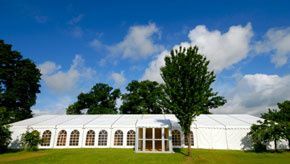 Founded in 2000, Docklands Marquees and Events has since grown into a leading marquee and supplying company. 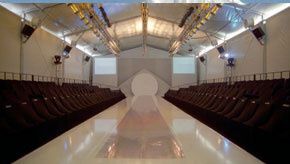 The company prides itself on being committed to first class service, constantly striving to improve and grow the company while still providing a special, tailored experience. 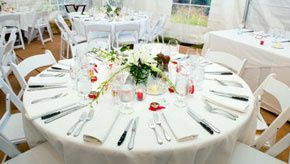 Their years of experience serving not only weddings, but multiple corporate events and special occasions ensures a professional and unique experience. Docklands is located in Greater London but also supplies to Essex, Kent, and the South East. 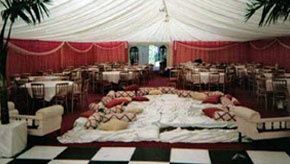 Docklands Marquees offers a wide range of marquees, perfect for an intimate evening or larger affair. 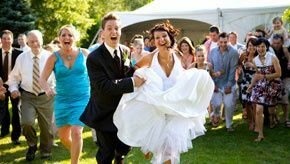 In addition to their exquisite tents, they can also supply tables, chairs, dance floors, and bars for a full-service wedding that you'll never forget. 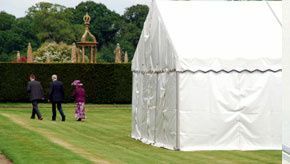 Even more, Docklands can bring various inflatables and accessories to enhance the event to make it even more special for guests. 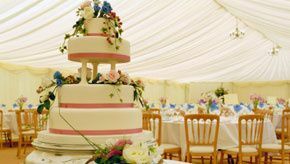 With special planning expertise and organizational experience, Docklands Marquees and Events will be sure to work in conjunction with you to create a special evening full of style and romance.